Is the Baikal Mini Miner ASIC one of the Best DASH Miners of 2017? You probably already heard about the Baikal Mini Miner ASIC before. It is a compact miner that is meant to work with X11, X13, X14, X15, Qubit and Quark algorithms, and people usually employ it to mine DASH. The miner was launched in mid 2016. Back in the day, it was like any other miner concerning ROI; it was, however, the less power-demanding miner on the market. With a power consumption of only 40W per 150Mh/s, the Baikal is one of a kind. After the release, the miner received many positive reviews. At first, some users had a grim outlook on the miner – they speculated that after the release of a popular DASH miner, the profitability of DASH mining would go down. A year passed since then and surprisingly enough, the profitability of DASH mining only increased. This is hard to believe, but as by march 2017, it became almost 2 times more profitable to mine DASH with the Baikal Mini Miner than when it was a year ago. There were two factors that affected profitability. First, the price of the miner went from $500 dollars to $300. Back in the day you had the option to get the miner a bit cheaper, for about $400 per unit if you’d buy four units. Secondly, despite some predictions, the profit per day in US from mining DASH remained the same, which means that the ROI of the Baikal Mini Miner is almost as twice as better. It went from about 9 months to 5 months. That’s some crazy ROI for an ASIC miner, since the usual ROI is between 9 and 12 months. This is why we decided to revisit, review this miner and take a closer look at it. As we already mentioned, the Baikal Mini allows you to work with six types of algorithms. This was a huge innovation back in the day, and it still remains a rare feature among modern ASIC miners. The Baikal Miner allows you to choose your mining pool. It comes with 8 pools to choose from and it also allows you to add your own ones. You can also prioritize each pool to maximize your earnings. 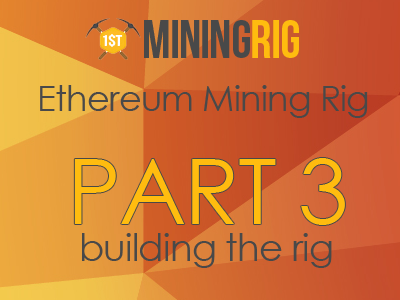 The miner is easy to set up. It comes fully assembled in a compact box (Dimensions: 140mm x 100mm x 95mm). The box includes an OrangePi (clone of RaspberryPi) board with an Ethernet module and a complete cooling system. The boxes can be easily attached the one to the other and assembled into one single rig. This means that if one day you decide to add more miners to your office, you won’t have to worry about additional space for the extra modules. Baikal Mini comes with a tool called BaikalScanner, which allows you to easily find the needed IP address to connect to the setup page. Once connected, you have to configure your mining preferences. This means choosing your pools, setting up priorities and so on. The factory password to the setup page is “baikal” with a lower case “b”. The same goes for the username. You can change that once you log in to the control panel. Please notice that the miner does not require a PC to function. You will need a PC only to set it up, configure it and monitor the work progress. Baikal comes with a GPLv3 licensed OS, which can be downloaded from the official Baikal site. This allows you to reinstall your miner OS quickly and easily. Before you do that, you can also save your mining settings. The backup is done from the miner interface, which means that you don’t have to download any additional tools. The interface is browser-based. First of all, it is worth mentioning that the miner comes with no power supply. It does however works with any generic 12V DC power supply with a barrel 5.5×2.5mm connector. Since the Miner power consumption is only 40W, there is no big issue in finding a power supply that would be compatible with it. Some users recommend using a 96W 8A power supply to ensure stable work of the unit, while others state that a 5A power supply is enough. Now, in the case you want to assembly a rig of Baikal miners, you probably would like to purchase the four unit pack from their official shop since it comes with a PCI-E connector. This allows you to connect it to a regular 150W PSU, though a 300W one would be more advisable. You can say that when it comes to hashrate/power usage ratio, the Baikal Mini Miner excels compared to other ASIC miners. This is why the miner is mostly popular in Holland and other countries that have high electricity costs. People who live in USA States like New York, Connecticut and Alaska could greatly benefit from the low power consumption as well. The miner provides a stable 150 Mh/s +/- 1 hashrate on all algos and pools. It is, however, advisable to test all available mining pools, because some might perform better than others. There are many factors involved, and the miner configurable priority system is your best ally. Also, please notice that the miner takes some time to stabilize the hashrate. It averages at 150 Mh/s, but don’t get too excited if it reaches the 160Mh/s mark for a dozen of minutes. The Baikal Mini Miner plays it cool. Low power usage means that the miner does not need intense cooling. It comes with a cooler, but it is not a heavy one, and several users report that the miner works really quiet. There is no consensus on the exact amount of DB, but it is clear that the noise level is far below the 50DB mark (quieter than a laptop fan). This makes it a great choice for home crypto mining. Mining DASH was profitable back in mid 2016 and it’s still profitable now in 2017. In fact, you can say that it became even more profitable today than it was a year ago. There are mere speculations on how things will go from now on, but as for today, a Baikal Mini Miner ASIC can be a great investment with a decent ROI. This is a video presented by baikal team to teach you how to install baikal 150M mini miner. Trezor Review – Is Trezor Still a Good Way to Secure Your Bitcoins?